Intense learning experience and most engaging way to get into 3D printing. Don’t wait! Classes are small and are filling fast. First come – first serve. Building your 3D printer is by far the best way to take ownership of the technology and to really get to understand it. You will be in a complete control, and fix it when it breaks. You lose any inhibition or feelings of awe.You be in charge. But building your own 3D printer takes time and know-how… Until now. We have developed 3D printing workshops, for which we specifically designed a printer that’s easy to build while maintaining a high print quality: the Jellybox. Now, you can build your own high quality 3D printer and learn how to 3D print it in a single day! 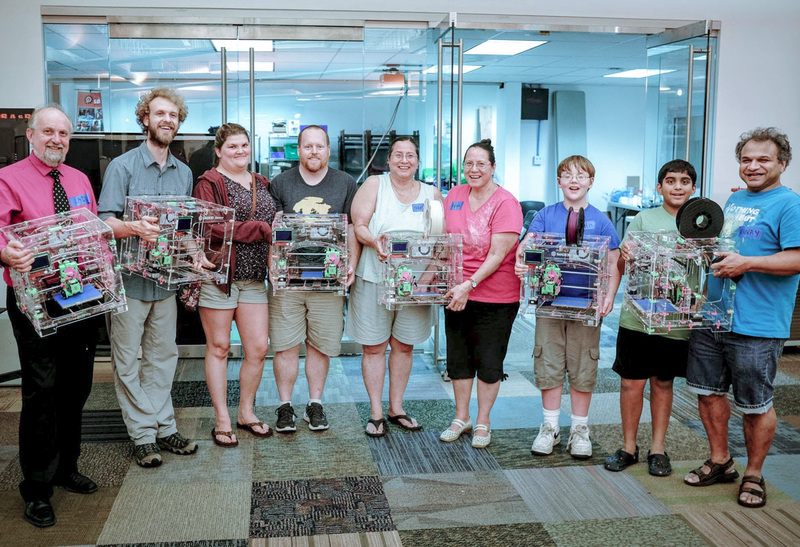 $1350 for the 1-Day JellyBox Build, and you can bring an assistant to build the Jellybox with you and learn along for free! This includes all parts needed to build the latest Jellybox, tools, 1 kg of filament, blue tape, snacks, breakfast, drinks and lunch. VA residents except GOV, schools or non-profits are punished by additional 5.3% sales tax for hardware parts used in crash course. Anyone can sign up for our crash courses. If you think this is the right event for you, we’re not gonna stand in your way! If you’re under 18, we may need to get a consent from your legal guardian. No worries. It all works out. Oh, did you know you can come and build in pairs? Friend and an enemy. Offspring and a parent. Siblings. Inspiration: we hear IMADE3D crash course is a pretty awesome first date, too. Why Jellybox (and not _____ printer)? There’s nothing that can do the job better than Jellybox as it was made specifically as an integral part of out learning plan! 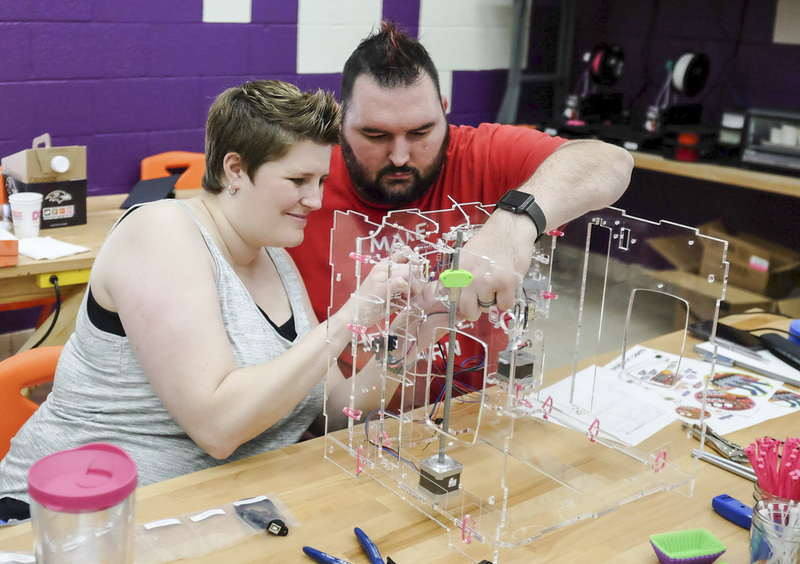 The reality is that we had a plan for an exquisite educational experience – the IMADE3D crash course – and we had to design a 3D printer to fit our lesson needs. 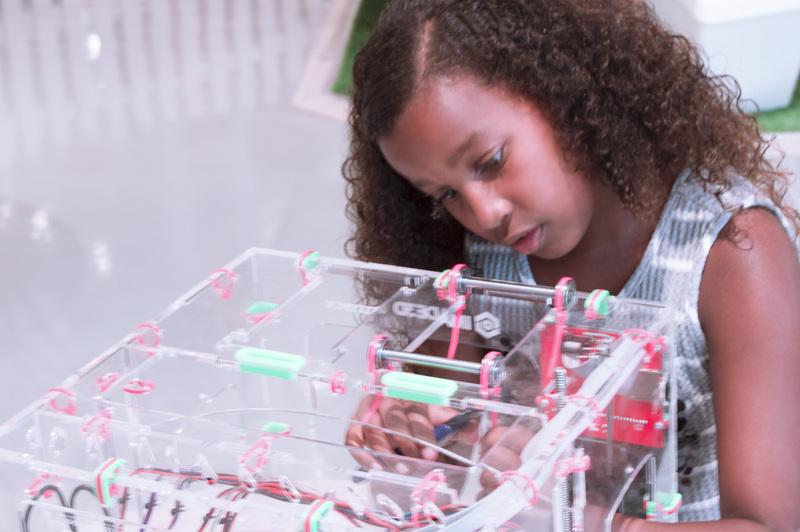 Jellybox was born out of the need for 3D printer custom made for hands-on learning. What is minimum / maximum age? Almost 50% of our crash course participants came with a very young assistant. Youngest was just 7 years old, but most of them were 12 – 15. Youngest standalone maker was Elisabeth, she was just 13… The oldest maker was something between 60 and 70. 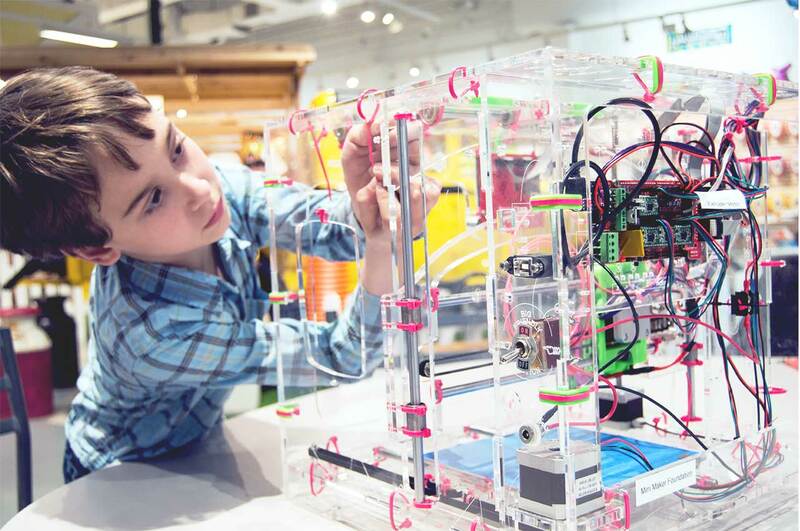 Everyone has made his 3D printer printing, regardless on age! The crash courses are developed and taught by Filip and Ladi, the same team that designed the Jellybox. Ladi is an experienced electrical engineer, lifelong tinkerer, software architect, entrepreneur, and a natural-born presenter. He could use a solder gun before he could even walk, and his lectures on database systems have become legendary. He excels in making people figuring out things by themselves. Ladi holds a degree in Electrical Engineering from the Czech Technical University in Prague. Filip is a learning interaction and curriculum designer making digital and physical things both for living and in his spare time. He prides himself on being able to awaken people’s curiosity. He has collaborated on a myriad of projects including on-line and off-line university courses, design thinking workshops, Design and Education MOOCs, and even a mobile app for literacy acquisition. Filip holds a degree in Technology, Innovation and Education from Harvard. How long does the crash courses take? Usually 8am-8pm (yes, this is long day…). No 3D printing experience necessary. The course is designed for beginners (though you can be an expert and have a blast). No crimping, no soldering. You just need to be able to screw a screw. Plus, if you’re under 18, your parents will to agree to your participation. and how to make it do what you want rather than to rely on someone else’s idea of a one size fits all product. We spend several hours building the Jellybox. (Mere several hours!) Along the way, we explore things like current, stepper motors, Arduino, best ways to tie a zip tie and more. We’ll do an short showcase of different 3D printing technologies with a deeper foray into current desktop-home printing space, maker revolution, and a brief history of open hardware and the RepRap community. We’ll also slice something (slicing is the process in which we convert a 3D model into thin layers expressed in coordinate system – a language that 3D printers understand), but it’s only going to be enough to get you started. Intro to preventive and corrective maintenance. Bonus: unclogging a clogged nozzle. Somewhere there’s snacks and lunch, oh yeah. You WILL leave with a functional 3D printer that you have built – guaranteed. Not only we are there to make sure all goes well, but there’s an unlimited supply of spare parts free of charge. We replace any non-functional parts during the crash course – even if a part gets destroyed by your own mistake 😉 Think of this as the ultimate insurance policy. Failure is not an option. We will personally guide you through the process to ensure it goes as smoothly, swiftly, and efficiently as possible. We have custom designed little engaging ‘knowledge bits’ – minute educational innuendos that go into the actual workings of the machine. How stepper motors work, how electricity flows, and more. It’s the best science class in town; for all ages. Connect with like-minded people, and, of course, with us. 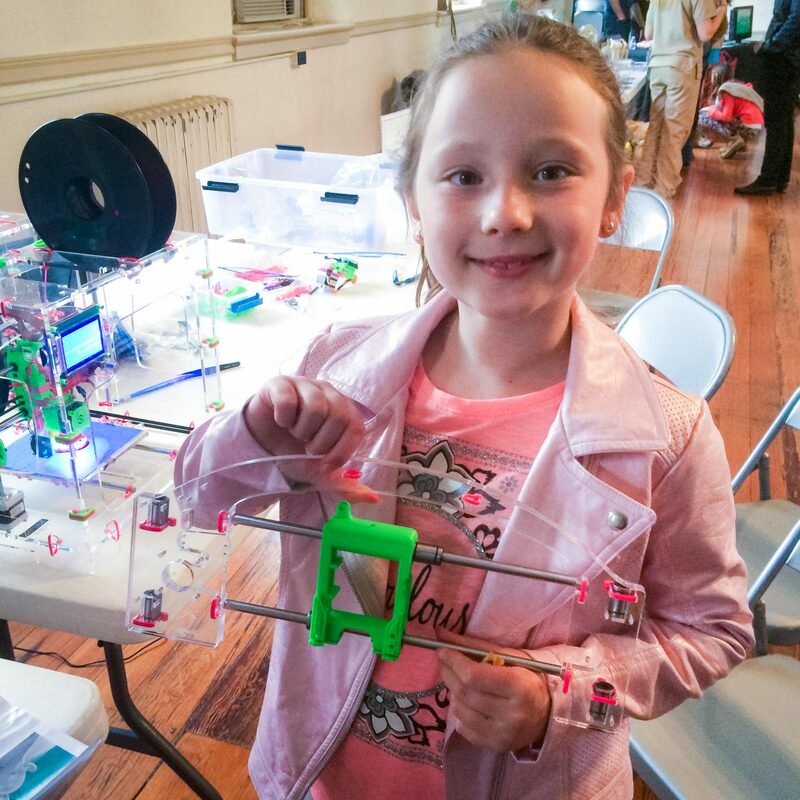 Open hardware 3D printing is built on community inspiring each other and helping out. There’s nothing nicer than meeting face to face. Hurry up! First come first serve. Classes are limited to 6 JellyBox printers. $1350 for the 1-Day JellyBox Build, and you can bring an assistant to build the Jellybox with you and learn along for free. 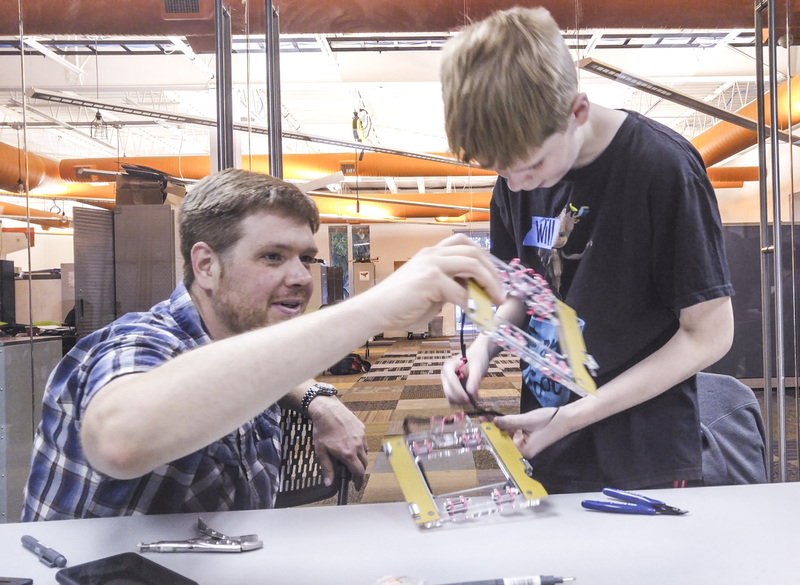 Head over to the quick build registration right now! you can of course get Jellybox as a DIY KIT with an exquisite assembly guide. It’s the same printer. Just not the workshop experience.